We are glad to include your intentions in our daily prayers. Due to the many prayer requests we receive daily,we are not able to respond to your email individually and personally. 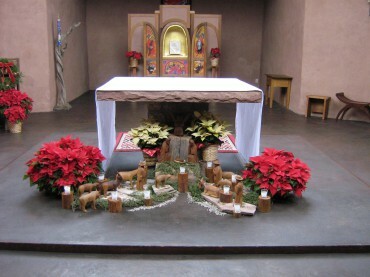 However, your prayer requests are placed in a reed basket on a table behind the Tabernacle of the Abbey Church where the Blessed Sacrament is reserved. Our monks pass by this table as they enter the Church from the cloister for prayer seven times each day. The monks are thus encouraged to remember your needs and intentions in prayer. They are also reminded that they may take prayer requests from the basket and make those intentions part of their monastic prayers that day. We do assure you in all events that you may rest assured of our prayers for those purposes and hopes you have expressed in your requests.